What should I ask when buying leather furniture? Are you thinking about buying leather furniture? Are you aware that there are different types of leather? Which one is the best fit for you? Answering some important leather buying questions before pulling out your wallet is the best decision you'll make for your home and for your family. So what questions should you ask? How is the leather finished? Long-term usage is the first place to start; what usage patterns will your leather furniture see? If you have children and pets and the furniture is placed in a high-impact area with food, beverages, etc., this may cause a buying decision. If your leather furniture is more likely to be the centerpiece of a luxury home or single loft, then you may make a different buy decision. Leather is incredibly durable and if you know How To Take Care of Your Leather Furniture, it can provide many, many years of comfort and elegance. However, the right type of leather should be selected based upon how you expect the furniture to be enjoyed. As leather furniture repair and restoration professionals, Color Glo specialists often hear from their clients how their salesperson or designer never told them the leather would stain, fade, tear, etc. You can avoid these problems by asking a few questions and knowing your leather beforehand. Some of the best interior designers are also brushed up on their leather/fabric knowledge and can guide you through this phase. Leather that is both dyed and pigmented is referred to as "finished". Finished leather is colored with the same aniline dye as unfinished leather, however, these hides go through a secondary coloring process. A pigmented coating (which is referred to as "finish") is applied, that has undergone some chemical engineering specifically for leather. It allows the leather to breathe and expand and is very different from the pigment in say, a wall paint. Pigmented leather finishes are opaque, creating a colored film on top of the hide. The color coating is then augmented with a clear coat forming its primary protection. This clear coat also dictates the sheen, from the scale of gloss to matte. High-end finished leather may not feel as soft and supple (or luxurious) as unfinished leather, but it will be able to withstand the high-impact areas of your active household. Finished leather is much easier to clean, and fades very slowly, providing years of beauty without notice of wear. Aniline Finished: The most natural of finishes, colored mainly through the dying process, and light if any, extra finish is applied. This leather has a soft natural and luxurious feel. It is recommended for formal, light soiling areas only. Antiqued: Leather that is finished with one color over another (usually darker over lighter) so as to create rich highlights and an artificially aged appearance. Semi-Aniline: Aniline leather to which a matching pigment layer is added to even out the color and add protection. Pigmented Leather: Leather that has been spray or roller coated with a flat surface color on top of or instead of the usual dye finish. The leather is usually pigmented to add durability and hide natural blemishes. This type of leather is uniform in appearance and very resistance to wear. Recommended for high wear areas. 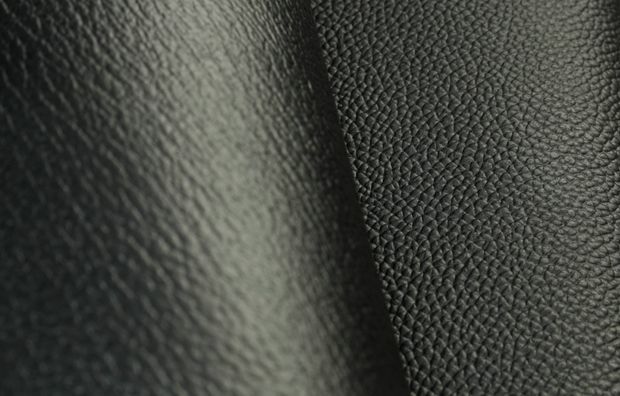 Embossed Leather: Leather that has been "stamped" with a pattern applied by extreme pressure in a press to give a unique design or imitation of full grain characteristics. Sometimes leathers are embossed to make them appear to be another leather, such as embossing an alligator pattern into cowhide. Hand Antiqued: Also known as "hand rubbing". The process of skilled craftsmen hand-rubbing a contrasting color onto the surface of the leather to accentuate the natural grain and embossing. If you choose leather that is colored only with dye, then there is no protective coating. It is sometimes referred to as “pure-aniline” leather. The color of this leather is rich and deep and the dye penetrates deep into the leather. Often, these pieces are soft and supple to the touch, and the leather's natural beauty is accentuated by the dye, creating that feeling of luxury. Only the finest leather hides can qualify to be unfinished, so unsurprisingly, it’s the most expensive category. The downside, however, to unfinished leather is that is stains easily, can tear more easily and can fade in very rapidly in some cases. So the question remains, "What does usage look like in your home?" There are only 3 types of unfinished leather with variations of what has been done to the surface. Full Grain Leather: This is leather in its most natural form with its surface left untouched by sanding or buffing. 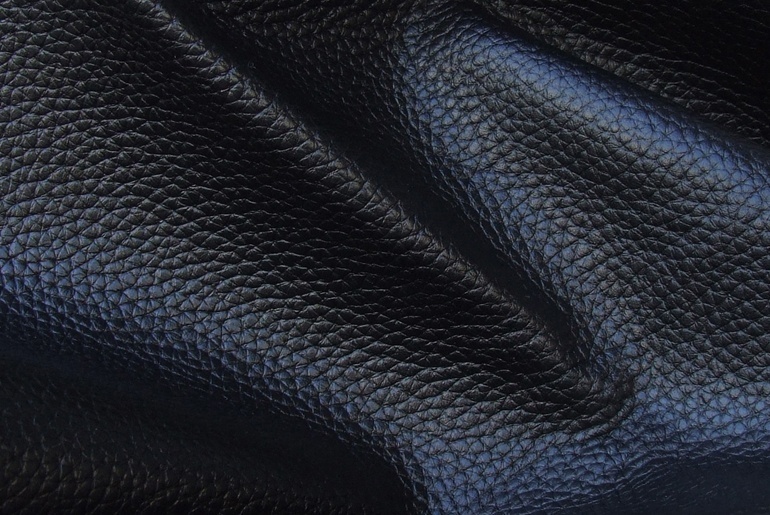 Full-grain leather can be embossed or dyed without damaging the natural fibers. Less than 20% of all hides are suitable for use as full grain leather. This type is expensive and is used only for the highest quality leather finishes. Full grains vary based on different origin, thickness, and tanning process. Corrected Grain Leather. The surface of the leather has been sanded to minimize natural imperfections. It can also be dyed and embossed with an artificial grain. This is the most common type of leather used. Nubuck. Nubuck is brushed grain sueded leather. It has been lightly buffed or sanded to produce a very fine, soft leather with a textured, suede-like appearance. How is it constructed? Is the leather top-grain leather? Budget is key, we know... Sometimes price just dictates where we land. Top-grain leather is will definitely be on the top of the heap when it comes to cost but it will be the most durable. So if your home analysis sits in the high-traffic category, you may want to justify the price of top-grain leather for your furniture. Top-grain is the epidermis of the skin which offers the vast majority of the hide’s durability. Split-hide leather (leather “split” from the epidermis) won’t stand up to the test of time in an active household. As a lower grade it is generally more affordable if your budget is dictating it. If you want your piece to potentially last a lifetime, then you must save pennies for top-grain leather. Construction of the furniture is also a key point. We've all owned low-budget furniture at some point in our lives and the first thing to happen is the frame starts to wobble and pull apart. Pressed wood frames, cheap construction, and poorly machined templates will equal a short-term saving and long-term struggle. Furniture solutions like Ashley and Ikea, though wonderful for many applications, are not the best solutions when it comes to permanently adorning your home. Lastly, is it all leather? You heard that right... is it actually all leather? Or did the manufacturer sneak in some vinyl? Vinyl has a handful of fancy name derivatives like leatherette, leather-mate, leather–match (and there are more) is synthetic. It is not the real deal and it won't stand the test of time like the real deal. It's less expensive than leather, but it won't feel or wear like real leather. The durability will not be there, nor will the luxurious touch and fell of a fine leather furniture piece. And yes, you guessed it; some manufacturers will sip some vinyl into various pieces to drive down their cost. How is the leather and furniture piece constructed? Is it constructed of all leather? Older PostCOLOR GLO INTERNATIONAL NAMED A TOP 100 BY FRANCHISE GATOR FOR 2017!! !